For petroleum and organic chemical industries. 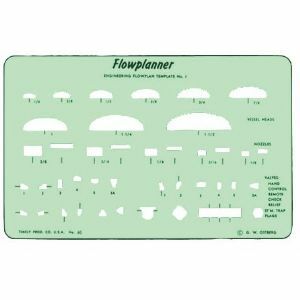 Draws widely-used symbols for flow plans and field. Size: 43⁄8" x 67⁄8" x .020".